When did employee appreciation become just another Millennial thing? Employee appreciation — is it just a modern-day buzz phrase or something that most companies have been missing all along? 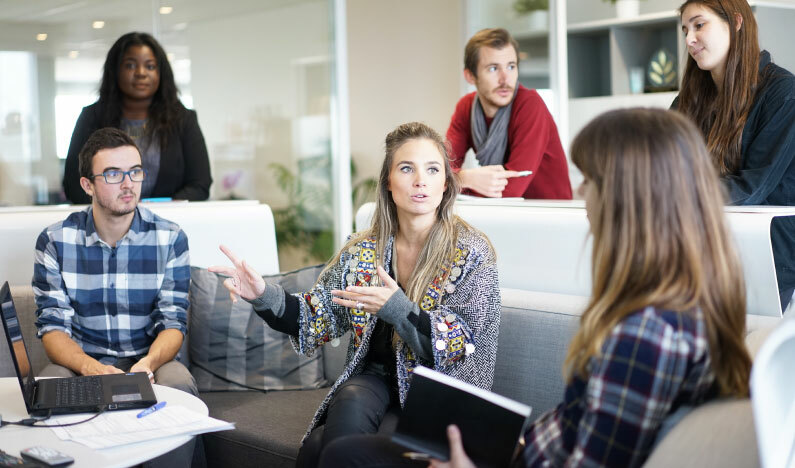 As Millennials have begun to infiltrate the workforce, phrases such as “employee appreciation,” “employee engagement,” and “company loyalty” have popped up in publications and social media feeds all over the world. Suddenly, as the younger generation has geared up towards professional careers, it seems employers have begun to take notice of employees’ needs. But why did we wait so long? If you walk around your organization and ask your team what changed when Millennials entered the picture, they’d likely throw the question back in your court. Truly, what did change? In fact, all of your employees want to be appreciated, no matter what age, life status, or generation classification; if they’re doing a good job, they expect to be respected, and rightfully so. After all, outstanding employees are hard to come by, and your Baby Boomers and Gen-Xers deserve just as many accolades for jobs well done as do their Millennial counterparts. On that note, it’s important to keep in mind that, if your top employees don’t feel appreciated, they’ll happily find themselves on your competitors’ payrolls — no matter how old they are. The number one reason people leave jobs is not money — it’s management. Draconian cultures are forcing good people to walk right out the door, despite any amount of time, effort, or capabilities they’ve brought their current organizations. ‘Appreciation’ is another word for ‘feedback.’ Unfortunately, this simple concept is lost on most managers who experience high amounts of turnover. All good managers (and bad ones, for that matter) are supposed to give feedback to employees on a regular basis. This is how growth, development, and positive behavioral reinforcement is founded. Bosses who are incapable or unwilling to facilitate conversations revolving around feedback, both positive and negative, run a significant risk of losing some of their businesses’ best assets. What Makes People Stick Around? While some people are motivated intrinsically by stress or extrinsically by the fear of losing their jobs, the overwhelming majority of people say they’re willing to work harder if their bosses simply show them the appreciation, feedback, and respect they deserve when they put their best feet forward. What Does this Teach You, as an Employer? You don’t have to have a huge budget to show your employees you appreciate them. Catered lunches and paid days off for ball games are fun perks, but they’re not the things most top-notch employees are looking for. Showing appreciation and recognizing the contributions your great employees make to your organization helps to solidify relationships, foster employee engagement, and build loyalty toward the organization. The foundation for feedback doesn’t cost a cent, but it can reap significant rewards in the long run, as your company begins to experience increased efficiency and reduced turnover. If you’re trying to build a company culture that revels in employee appreciation, it’s important to know that things aren’t going to change overnight. That said, you have to start somewhere, and the moment you take that first step is the moment your employees will realize the fact that you value them. Changing your company’s culture may be one of the toughest things you do as a business leader; if you want to get the job done right, call upon the assistance of an experienced training and development team who can guide you throughout the process.